We’ve gathered together a great range of medical professionals and allied health practitioners at Sydney Doctors at 70 Pitt Street. Our goal is to offer patients a comprehensive range of treatment options with our allied health team – all at our convenient Sydney CBD location. 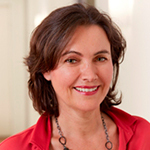 Caryn was born in Sydney and qualified as an Acupuncturist in the UK over 18 years ago. She has since completed extensive post-graduate training. Her first 8 years of practice were in London, including working at British Airways. She has been featured on television, radio and in newspapers and magazines including the Sunday Express, London Metro, Now, Red and Zest Magazines. 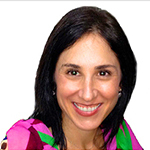 Caryn returned home in 2005 to establish her practice in Sydney. We’re one of the few practices in Sydney to have a qualified dental hygienist on our staff. Christine, originally from Canada, has an undergraduate degree in Archaeology from the University of Calgary and she was later accepted into the dental hygiene degree program at the University of Alberta. 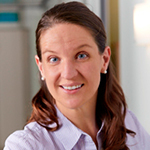 Christine has a passion for her work and is dedicated to the prevention and treatment of tooth and gum disease. Save time and book online . click on the Dentist link at the top of the page. 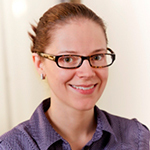 Catherine-Anne qualified as a dentist in New Zealand with a Bachelor of Dental Surgery from Otago University and holds a Master’s Degree in Public Health from the University of Sydney. She’s an approachable fun person, a very skilled dentist and has a broad range of experiences across both the public and private sector. Dr. Walsh enjoyed her time at Westmead Hospital in the Oral Health Centre in the special needs, paediatric, and geriatric clinic as well as working in the emergency department. She is involved with the Australian Dental Association and sits on one of the committees. Sherisse trained at the University of the Witwatersrand (Wits) and The University of South Africa (UNISA) in South Africa. She also completed an internship at The Sydney Clinic, a private psychiatric hospital. Sherisse works with clients both individually and in groups, offering engaging experiential, mindfulness-based workshops based on ‘Mindful Living’. This treatment helps those who need to manage stress, anxiety, depression and improve general wellbeing. It can also help those struggling with compulsive eating, bulimia and body image issues. Sherisse uses a range of therapeutic approaches tailored to her clients’ needs. Her primary goal is to provide a non-judgmental, safe and nurturing environment where clients can develop awareness, enhance their coping skills and recover. 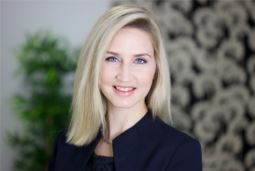 She believes the fit between therapist and client is important and her clients describe her as approachable and easy to connect with. 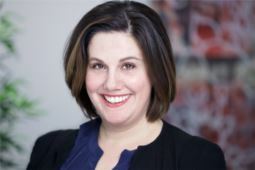 Tal enjoys seeing adults and couples her qualifications include seven years of university training: a Bachelor of Arts Degree with Honours in Psychology from Macquarie University, and a Masters of Clinical Psychology Degree, with 1st Class Honours, from the University of New South Wales. Tal has worked in the public and private health systems has provided her with experience in the assessment and treatment of adults experiencing a wide range of issues including mood and anxiety disorders, antenatal and postnatal adjustment difficulties, emotion regulation problems and relationship difficulties. She adopts an integrative approach to treatment drawing from a range of therapeutic approaches in which she has undertaken advanced training, including Cognitive Behaviour Therapy (CBT), Acceptance and Commitment Therapy (ACT), Schema Therapy, Mindfulness based interventions and Emotion Focussed Therapy. Joycelyn offers an empathic and collaborative approach in working with adolescents and adults to explore ways to manage challenges in life and promote mental health and well-being. 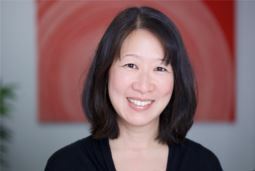 Joycelyn has over 15 years of clinical experience and has worked in a range of public and non-government health services, including adult and youth-focused drug and alcohol services, university clinics, private practice, and hospital inpatient and outpatient services in Sydney and in Singapore. She has expertise in Cognitive Behaviour Therapy (CBT), Acceptance and Commitment Therapy (ACT) and Schema Therapy, an area in which she has published a number of research papers (see below). She is skilled at putting her clients at ease and building a collaborative therapeutic relationship to achieve the best outcomes. Freya offers an empathic and motivational approach in collaborating with clients to improve their wellbeing. 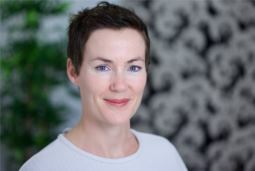 She has experience providing psychological assessment and therapeutic services to children, adolescents and adults. . As a psychologist in a community outpatient mental health service Freya worked with individuals experiencing difficulties such as depression, anxiety, worry, stress, phobias, panic, grief, bipolar disorder and the psychological effects of trauma. Freya has also delivered psychoeducational group programs to adolescents and adults. Freya has research experience and ongoing interest in emotion regulation and psychological wellbeing related to physical health conditions. She has specific training in applied psychological assessment and treatment across the lifespan, in cognitive behavioural therapy and family and systems approaches. You can make an appointment at Sydney Doctors at 70 Pitt Street by calling us in Sydney on (02) 9233 3399 or book online.